I am an experienced counsellor and supervisor having worked in a wide variety of settings with a broad range of issues. I create a safe space for people to explore and find ways through areas of their life that are troubled or difficult. I aim to empower people through promoting resilience and building on inner resources. Contact Val for session rate. I am an experienced counsellor and supervisor having worked in a wide variety of settings with a broad range of issues. I create a safe space for people to explore and find ways through areas of their lives that are troubled or difficult. I aim to empower people through promoting resilience and building on inner resources. 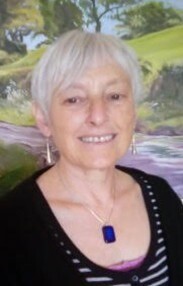 I am an experienced counsellor and supervisor having worked in a wide number of settings with a broad range of issues. I create a safe space for people to explore and find ways through areas of their lives that are troubled or difficult. I aim to empower people through promoting resilience and building inner resources.